THE “GAME THEORY” ALLOWS PROGRAMMERS TO MAKE PREDICTIONS . . . EVEN THOUGH IT HAS BEEN PROVEN TO BE FALSE! 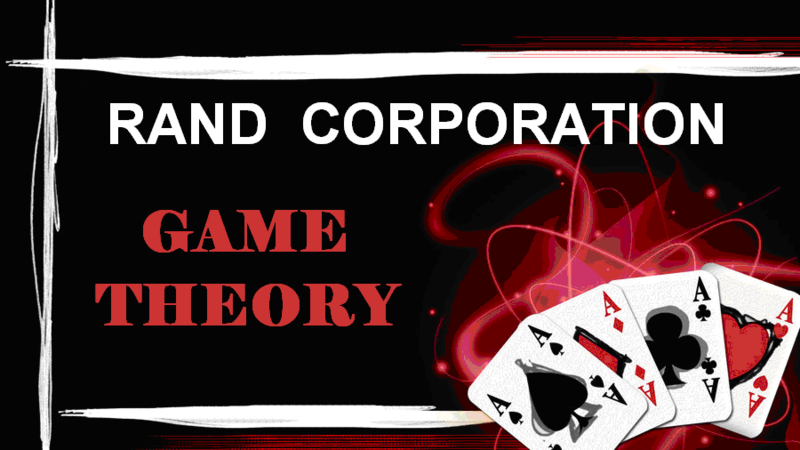 The GAME THEORY – created by a paranoid schizophrenic – was built on a completely false premise and therefore will ultimately fail. The sooner this is exposed the better off humanity will be. The Game Theory relies on predictions made from computer analysis of numerical data. However, dead computers cannot accurately predict life because life is not static, it is dynamic and ever changing. Life contains infinite possibilities and computers – no matter how sophisticated – cannot register all of these possibilities because a vast number of them are not dependent on “quantifiable” data. Important decisions and choices are made every day based on unquantifiable factors such as: love, joy, compassion, humor, grief, trauma, and personal commitment – in other words the essences of living men, women and children.